Hello, music. So long, paper. At the core is a rendering engine that enables fast page turning, and a document management system that allows your music library to grow into the thousands without sacrificing performance or stability. Whenever you add text, symbols, or draw with the pencil or highlighter, rendering is done in a way that captures all the fine detail. 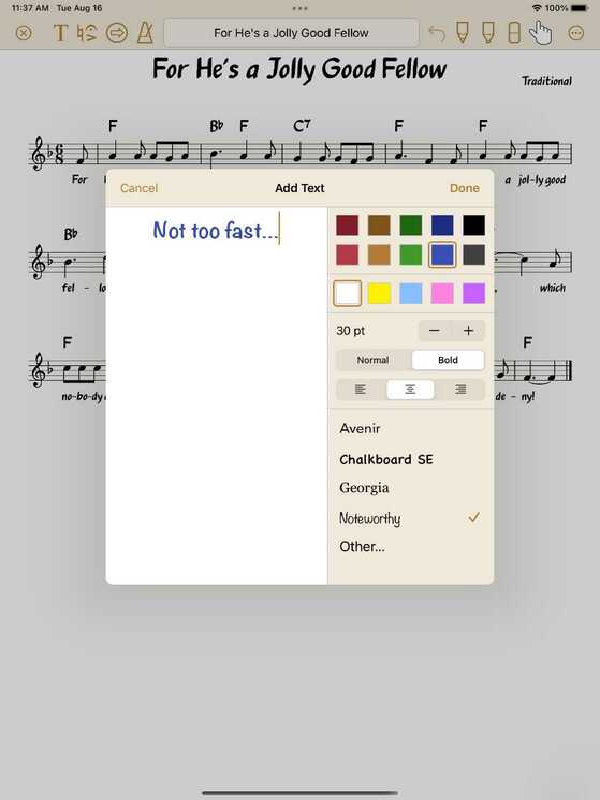 And thanks to the app’s handwriting smoothing, your annotations look great, even when sharing music from an older iPad to the latest large screen iPad Pro. When practicing or performing, it’s important that turning pages happens right away. That’s why multiple techniques are used to optimize the performance. Create links to jump from one spot in the music to another while easily tracking the transition. Add an optional delay to any link, making page turning easier when your hands are busy. Turn pages by scrolling, swiping, linking, or using Bluetooth devices like those from PageFlip, AirTurn, and Coda Music Technologies. Perhaps what you’ll like most is what’s not in the app. Paperless Music is a general purpose, flexible music reader, not tied to any subscriptions or services. And with the ability to import and export your music in a variety of ways, including in PDF format, you can build up your library with confidence. Import PDF files, images from your photo library, images from your camera, or any of these in combination. Or import a Paperless Music document (.papmusdoc file) in its native format to transfer music from one device to another. A collection is a grouping of music. 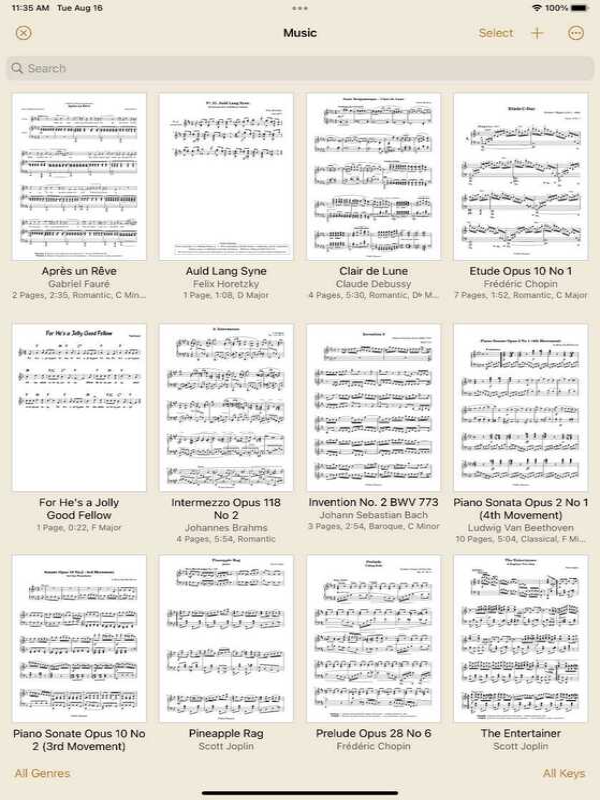 Collections can be used for just about anything, including gigs, practice sessions, recitals, set lists, and more. Collections are quick and easy to create, modify, and delete. The same music can appear more than once in a collection. While viewing a collection, you can quickly jump to other music in the collection by tapping the header or by using the slider at the bottom of the screen. Arrange collections in a custom way, or sort by date or title. Search to find any collection quickly by title. Tag collections to organize them in a way that’s similar to how genres are used to organize your music. Add text with options for size, rotation, color, font, and justification. 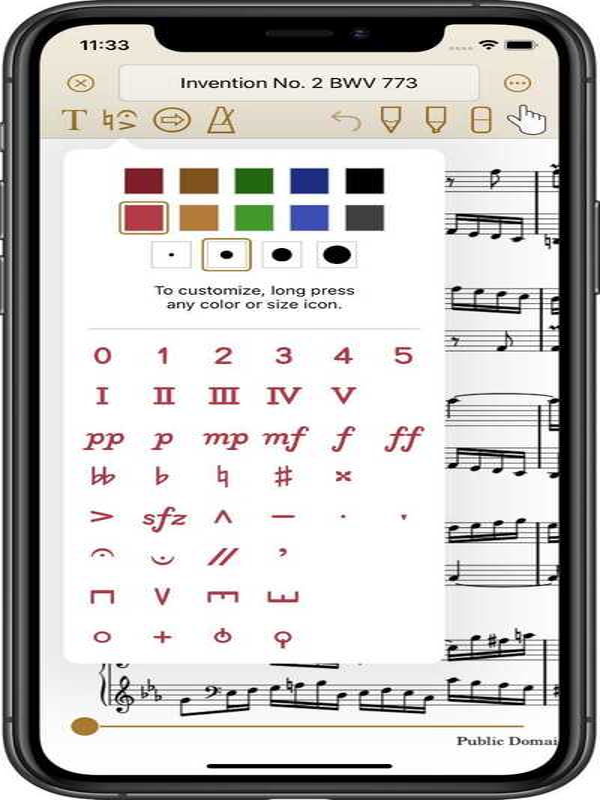 Drag and drop symbols to add fingerings, dynamics, accidentals, and more to your music. Edit pages with nondestructive cropping and editing of brightness, contrast, and saturation. Keep the tempo with a highly accurate, low latency metronome with options for sound, visuals, and accent. Duplicate and easily rearrange pages as an alternative to links (just proceed forward and avoid jumps). Sort your music by date, title, or composer. Search any title or composer. Filter by genre, duration, or key. Use Spotlight to search for and launch right into your music, even when the app isn’t running. Easily back up, restore, or transfer all of your data to another device by creating an archive. Or share just the music you select. Head on over to the app store to see video previews, screenshots, reviews, and more. Is it possible to import many PDF files at once? Tap the “Select” button to begin multi-select mode. Select the files that you want to import. How can I delete, edit, move, or rotate something on a page? Symbols, text, links, and white areas all respond to long press, which is the action of placing your finger on an object and briefly holding it there. An action menu is then displayed. Different objects have different actions. How can I change the order of collections? Collections can be sorted by custom, date, or title by selecting the menu at the top right corner of the Collections screen. When sorting by custom, tap Edit. Grab bars will appear along the right edge of the screen. Simply drag to change the order. Why can’t I type using the keyboard? If you’ve paired with a Bluetooth device for hands-free page turning, it might prevent normal use of the keyboard. Try temporarily turning off the Bluetooth device to allow text entry, or check to see if the Bluetooth device has a switch that allows for fast switching between page turning and text entry modes. On all PageFlip pedals, for example, you can eject the virtual keyboard by simply pressing the current mode (CM) button on the pedal. Why does sharing with Mail sometimes fail? The ability to share music, document sets, collections, and archives using Mail depends on the file size and your email provider. Most providers limit the size of attachments. Music containing photos or scanned images tends to result in larger file sizes. The size of an archive is proportional to the size of your music library. To transfer content from one iPad to another, AirDrop or a cloud service often works best. 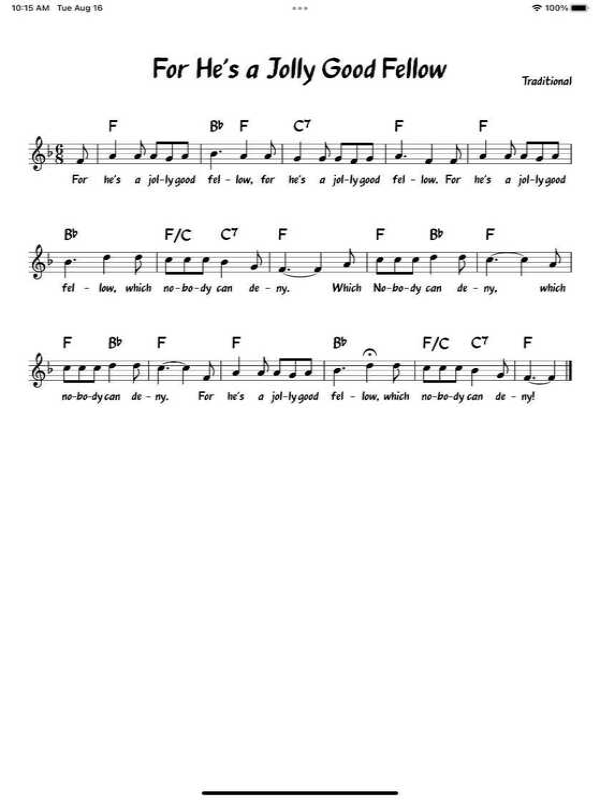 What information does the Paperless Music iOS app collect? Quite simply, nothing. No personal information is collected, and unlike many apps, no analytics services are used to track your usage of the app. The music and collections that you add are not shared with anyone, unless of course you choose to share them using the app’s share functionality.